I’ve had this idea for a while to do a series of fairy tale hand embroidery patterns, so I’m in the process of creating six different hoops to share. I think the hoops are turning out even cuter than I imagined. I love when that happens! 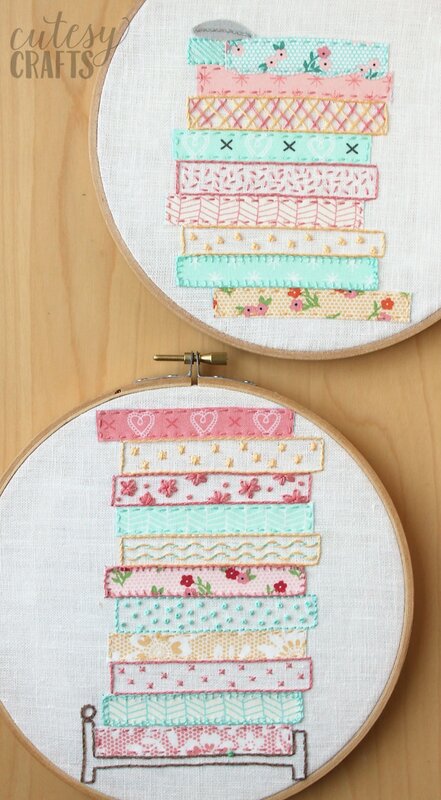 First up in the series is a Princess and the Pea embroidery pattern. This one is done on two hoops to emphasize how many mattresses there are. Isn’t it fun?! It would look so cute in a little girl’s room! Click here to see all of the hoops in the series. To get access to the free patterns, enter your information in the form below or click here to subscribe to my newsletter. It’s free, and I’ll keep your email address safe. You can also unsubscribe at any time. I used a combination of appliques and different stitches to fill in the mattresses. 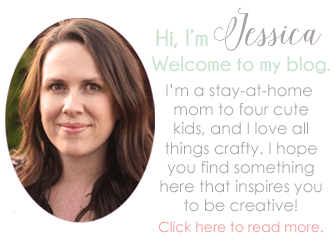 If you aren’t sure how to applique, head over to this post. All of the stitches and colors used are listed on the patterns. 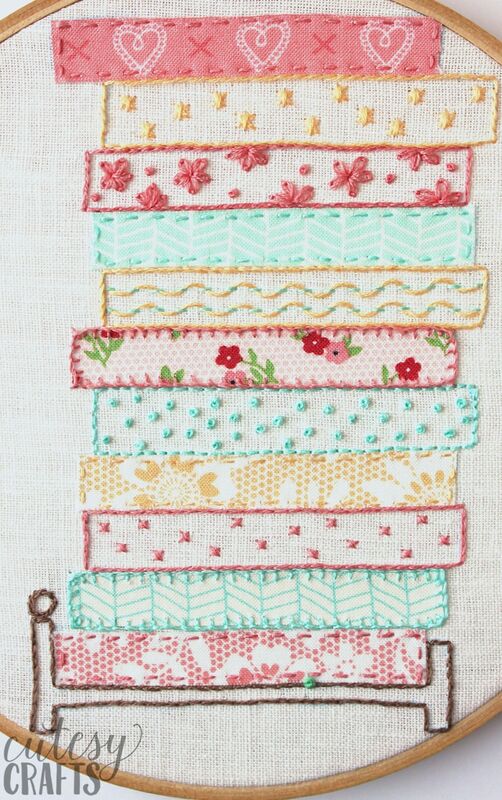 I used this charm pack from Fat Quarter Shop for the fabric appliques. If you are using different fabric, you’ll want to find floss colors that coordinate with it. 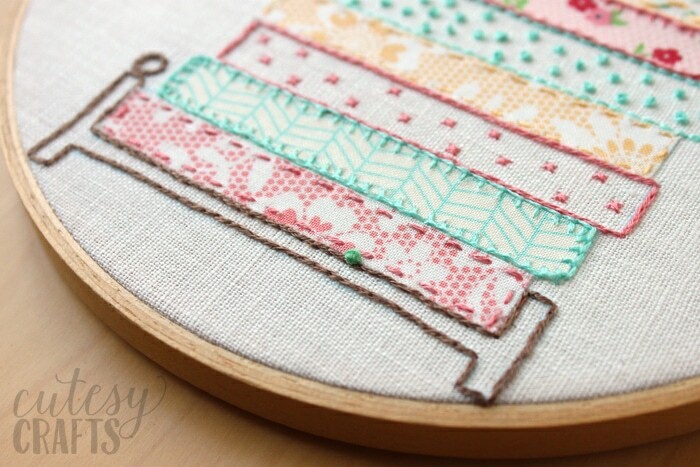 I had so much fun trying out all of these new stitches! 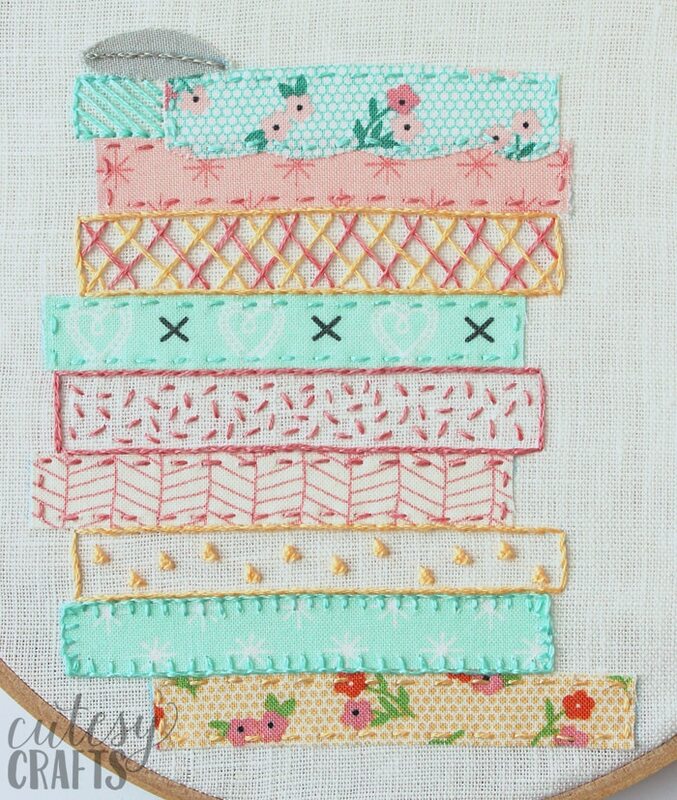 If you aren’t very confident in your embroidery skills, you can just try out some of the simpler stitches, or even just do all fabric appliques. I promise, it’s all easier than it looks! Take a look at my “How to Applique By Hand” video. Hope you like it! Click here to see the other hoops in this series. Follow along on Instagram to see sneak peeks of what I’m working on, take a look at my other hand embroidery designs for inspiration. 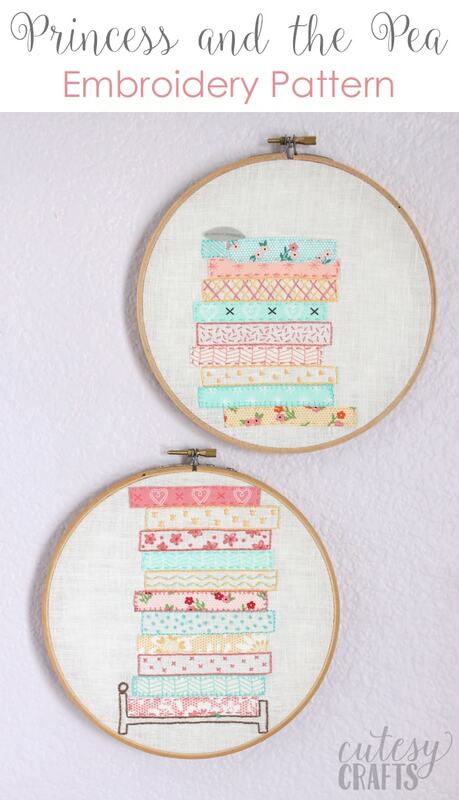 I sent my e-mail to you so I could get the Hoop patterns but have not received anything from you. I just resent you the confirmation email. When you get that, click the link to confirm your subscription to my emails. Once confirmed, you will get a second email with a link to the downloads. Let me know if you run into any more trouble, and I’ll be happy to help. be watching my email …..
Hmmm… maybe it’s getting caught in spam or something. I went ahead and manually confirmed your subscription. I’m going to send you an email with a link for the files. Let me know if you don’t get it.